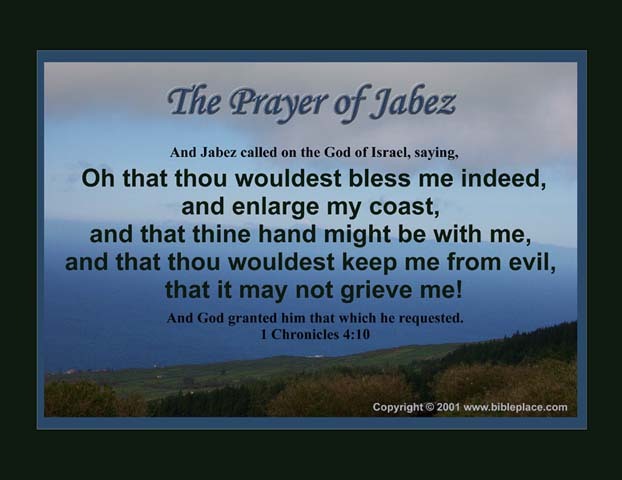 The Bible Place's edition of the Prayer of Jabez. The back drop for our prayer is a scenic pictures of the Azores. This island in the middle of the Atlantic is a wonderful show of God's beauty in nature. Select below to download the image. - Place mouse pointer over the time you want to download. - Right Click your mouse button. (choose the directory to save the file in). Copyright © April 1998 - 2010 KC Enterprises. All rights reserved.